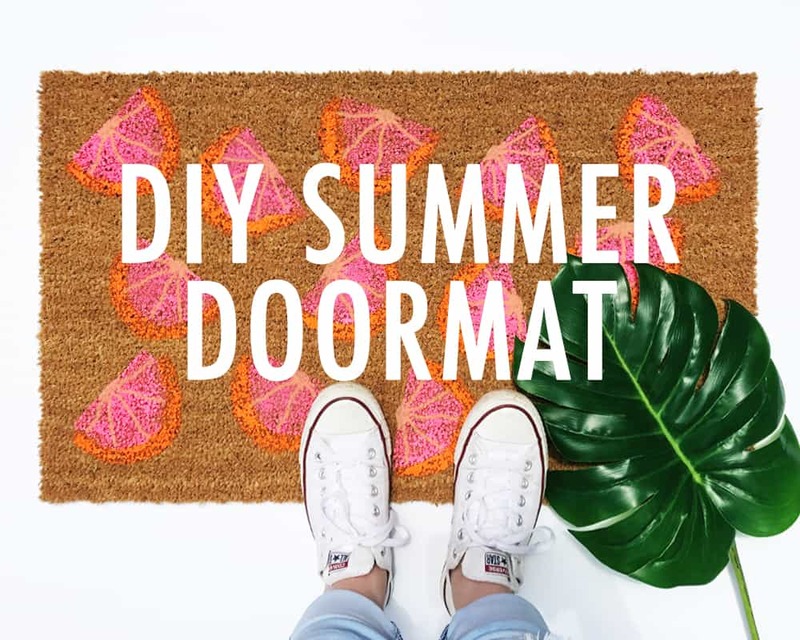 This DIY doormat for summer looks like you bought it from Anthropologie but is WAY cheaper AND more fun! And as a bonus, you’ll have the bragging rights saying you made it yourself. When backyard parties, cold drinks, and colorful decor all start to come together, you know what time it is — SUMMERTIME! One of the things I love most about this season is the warm weather that gives us plenty of excuses to throw outdoor get-togethers and spend time with our favorite people. And if you’re a true hostess with the mostess, you know no summer party is complete without the right decor. And of course Will Smith’s ‘Summertime’ must be blasting on repeat! 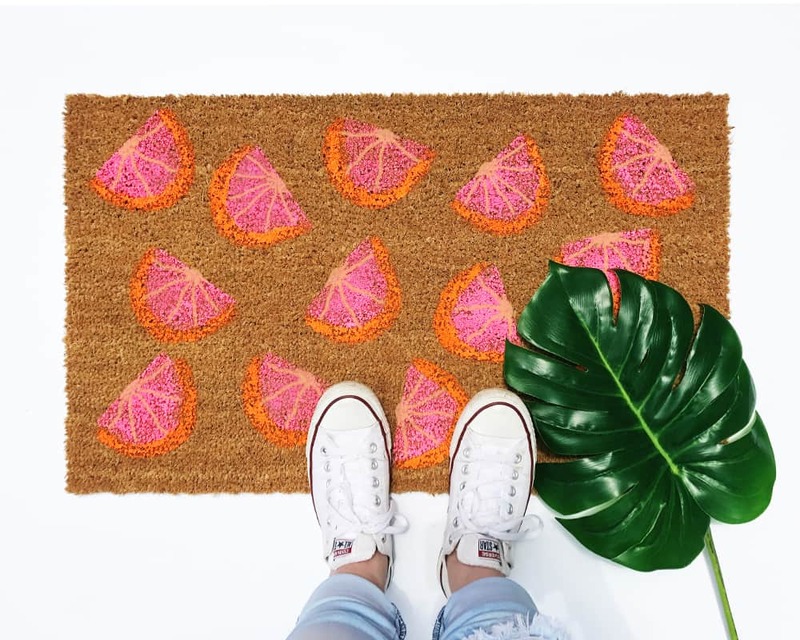 What better way to greet your guests than with a stunner doormat that’s sure to catch their eye and give off a fun summer vibe?! As you probably already know, the doormat trend has been EVERYWHERE lately. I must say that I’m a fan. Doormats give instant personality to your home and set the tone for what’s inside before you even cross the threshold. 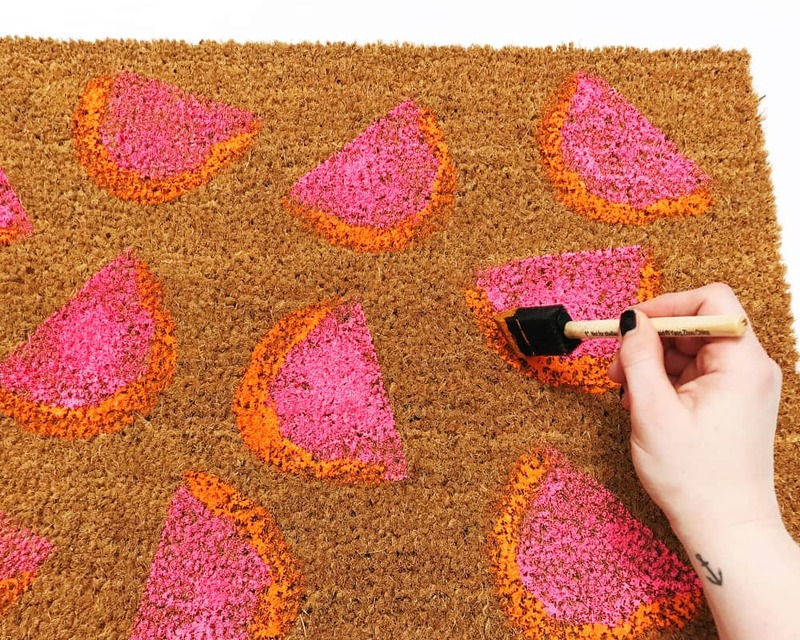 Add a fresh squeeze of color to your space with this quick and easy DIY guide to a grapefruit slice doormat that’s almost too pretty to step on! 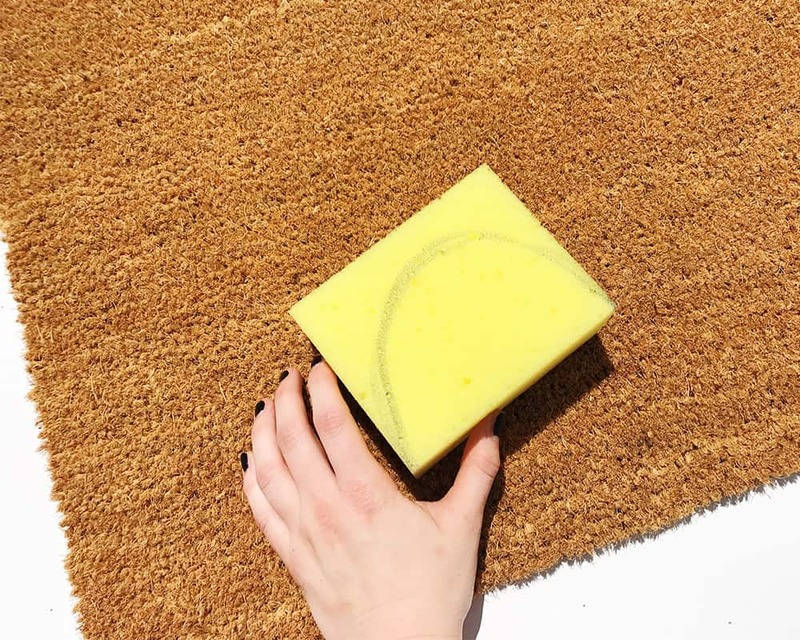 First, shake out your doormat outside to eliminate any dust and loose fibers. Then, take your sponge and draw a semi-circle shape against one of the long ends. After that, put the remaining part of the cut sponge to the side. Don’t throw that away just yet. 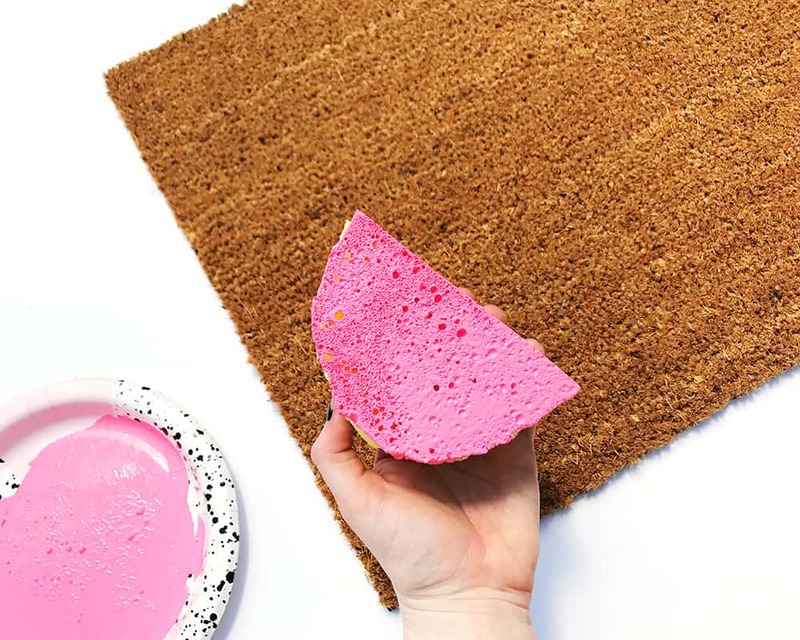 Pour some pink paint onto a paper plate and dip the semi-circle shaped sponge into it, heavily covering the bottom. Firmly press the sponge stamp onto your mat and gently lift up. Continue to cover your mat with this shape, alternating angles and dipping your sponge back into the paint after every application. Given the rough surface texture of the mat, you may not cover the intended area completely. This is fine, you can touch up these areas at the end. Once your mat is covered with the pink slices, let it dry for 30 minutes. Grab the leftover sponge piece and trim off the corners. Then round them out until you achieve a crescent moon shape. Pour the orange paint onto a paper plate and use the same stamping technique to apply the peels to the slices. Finally, let dry for 30 minutes. 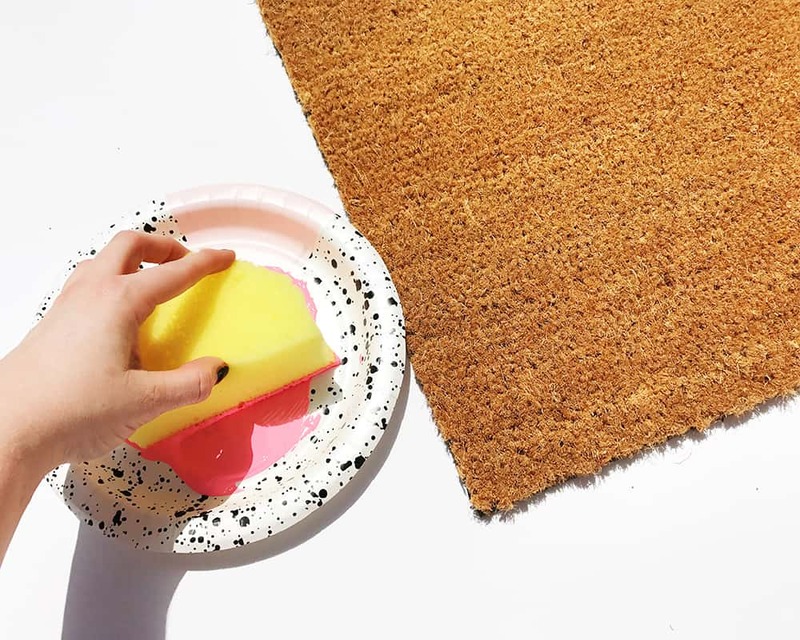 If needed, take a smaller sponge brush and touch up any areas you may have missed, firmly pressing down in a slow blotting motion. In addition, you can also add in slice marks with a lighter color paint if you prefer a more detailed look. Allow your mat to dry for 24 hours. For extra protection, apply a waterproof clear coat sealant spray. Now you’re ready to kickoff summer with a fruity treat for your feet! 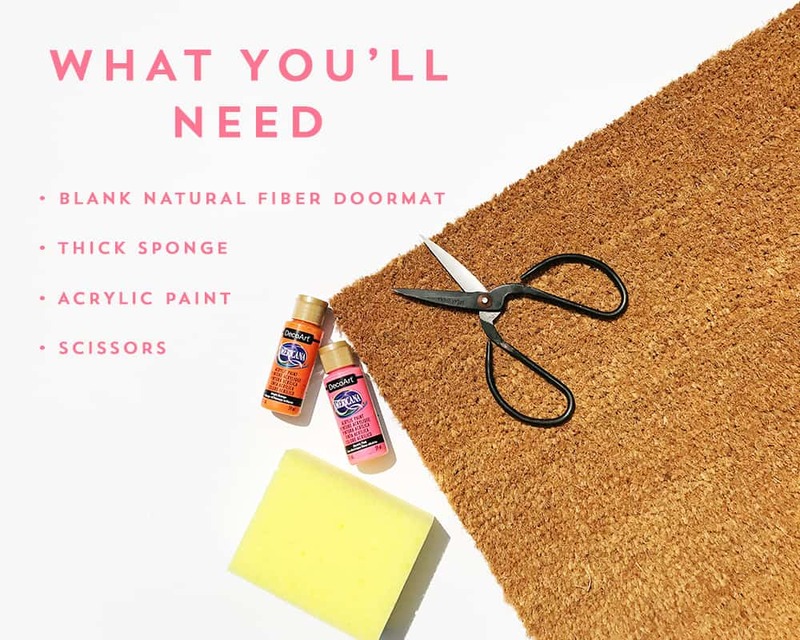 Go on and take those Instagram-worthy shoe photos standing on your new DIY doormat! I love it!!! How long did it take?? Our contributor Lindsey made the doormat. Not sure how long it took but I’m assuming once she got the supplies and set everything up, it probably only took about 30 minutes to make. Isn’t it adorable?